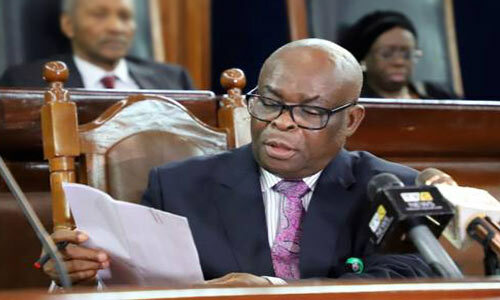 The Presidency has yet to confirm the resignation of the suspended Chief Justice of Nigeria (CJN), Justice Walter Onnoghen, even as the news gathers momentum across the media. President Muhammadu Buhari left Abuja for Jordan to participate in the World Economic Forum. 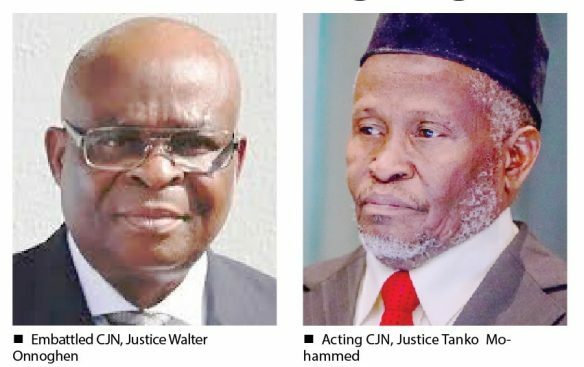 The report was submitted to the president by his Chief of Staff, Mallam Abba Kyari, who was accompanied by the Attorney-General and Minister of Justice, Abubalar Malami, at about 2:20p.m on the fateful day. After being nominated as the Chief Justice of Nigeria by the Acting President, Professor Yemi Osinbajo, he was confirmed by the Senate on March 1, 2017, and sworn in on 7 March 2017. The trial commenced Jan. 14, 2019 at Code of Conduct Tribunal and has been controversial. Onnoghen is accused of failing to fully declare his assets, Tanko is facing allegations of misconduct.